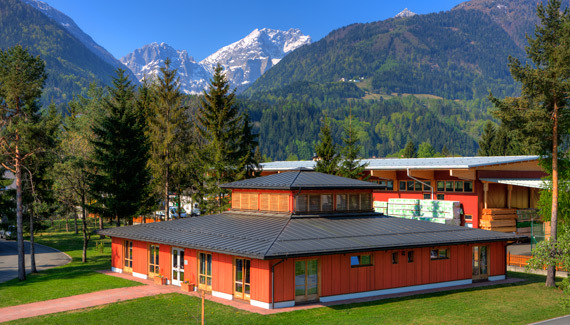 Since 1968 its foundation, our company, Holz- Thurner, has been known to be one of the most reliable partners in the European timber and sawmill industry. Today, over 20 employees work in three different departments: they trade and place over 300.000 m3 of trimmed softwood and timber products, worth 60 million Euros. A reliable partner in the European wood and sawmill industry, Holz- Thurner sells trimmed softwood and timber products to bulk purchasers. 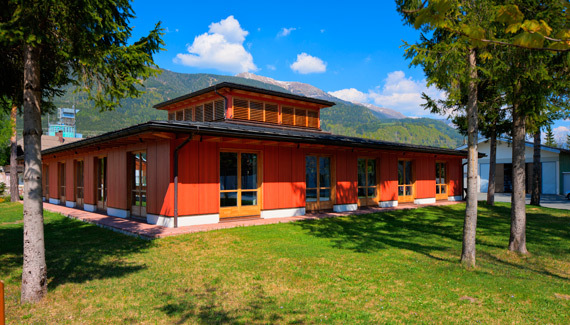 The most significant timber trading companies inItaly, as well as big enterprises are among our clients, all of whom distinguish themselves through their annual profits and reliability. Our 150 selected companies operating in the wood and sawmill industry—from Austria,Germany, Switzerland and beyond—can serve every need when it comes to wood. These suppliers were chosen based on very strict criteria, such as quality, technical efficacy and prompt delivery. A financially strong company, Holz- Thurner trades timber products internationally. This department of our company can handle any kind of request, many of which could not be satisfied by other placement departments. In this way, we can professionally sell combined cargos, partial amounts of derived timber products and high quality natural timber or floors to national and international clients in the timber trade. 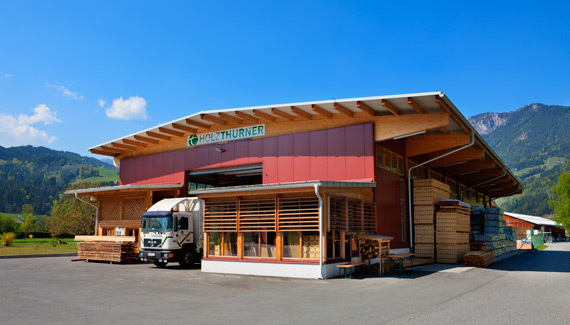 This is the newest addition in our company – the national timber trade section of Holz- Thurner takes advantage of its widespread international contacts, in order to sell its high quality wood products directly on site: solid construction timber, Glued-laminated timber, boards, panels and high quality floors can be found in our store anytime. Local carpenters and cabinet makers as well as private customers who are looking for quality products will find fast and flexible service for high-quality products at a great price. 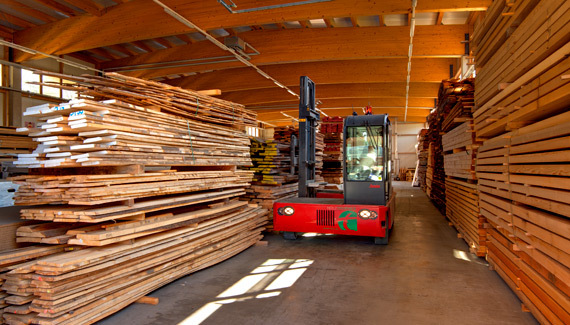 Additionally, some of our Italian clients and partners in the timber industry can use our vast storage area to store their products for short periods of time. Because of the sheer size of the company and the variety of products/services offered, Holz- Thurner is a retailing partner of true European dimensions in the timber industry. only two of the many advantages you will find through working with our team! Josef Thurner founded its company at the January 1st, 1968. Initially, about 45.000 m3 ( = 984 cargos) of trimmed soft wood were traded every year- nowadays, approximately 300.000m³ of trimmed soft wood and timber products, like Glue-laminated timber, wood panels, shuttering panels etc., with a total value of approximately 60 M. Euros, are yearly traded annually. This success was reached thanks to our competent and highly motivated employees. The Holz-Thurner team grew from an initial group of 4 employees to the 22 workers, who currently serve and operate in direct contact with the clients on site. Nearly 750.000 km cover our whole team yearly mainly in Italy to place more than 7.000 truckloads on the market and to hedge contracts. The size of our company has reached European dimensions, allowing us to gain an edge on our competitors within the market in Italy. Traditionally, the main focus of the company has always been the placing of wood products, but in 2000 the department responsible for international wood trade was added. It had become more and more necessary to complement the wide range of products already offered with timber products which could not be offered through timber placement. 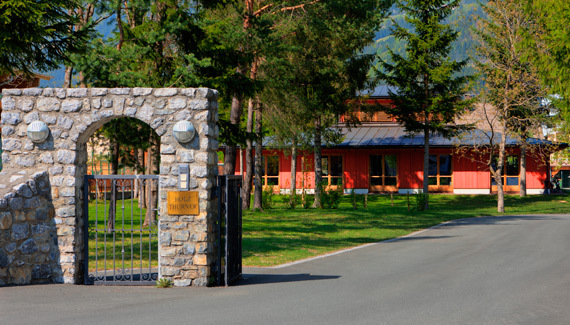 Finally, in 2007, upon finishing the construction of a modern storehouse, the department responsible for the national timber trade was inaugurated: taking advantage of our international contacts, local carpenters and cabinet makers as well as private costumers who are looking for quality products can find fast and flexible service for high-quality products at a great price. Additionally, some of our clients and partners in the timber industry might want to use our vast storage area to store their products for short periods of time. This area covers meanwhile 3 million EUR of the company turnover. To maintain continuity of the company development the next generation with Wolfgang and Mattäus Thurner have been actively integrated into the successful family business. Due to this re-purposing which is active since 1st of October 2011 the new company name is Josef Thurner Holz GmbH. Over the last 44 years, huge changes have taken place. In particular, the transition from a seller-oriented to a consumer-oriented market has changed the industry profoundly. Technical progress in the production as well as in the use of wood products have also played a major role. Nowadays, the Holz-Thurner team makes over 8 milion euros and faces all the different challenges of the international timber market. From the very beginning, the team has looked for a perfect solution for both client and supplier – this philosophy is even more imprtant today and always allows us to have an optimistic vision of the future. … a vision which sees our company grow even stronger: we are working on it!